Engineered to perfection, the Touring Edition Exhaust is designed to give your Jetta 2.5L a more aggressive, yet sophisticated tone. The Touring Edition Exhaust features a resonated midsection and replaces the large stock rear muffler with a straight-through resonator featuring AWE Tuning’s proprietary drone-canceling solution, 180 Technology™. As exhaust gases exit the Jetta’s 2.5L engine and flow into an 180 Technology® equipped resonator, they pass through strategically located ports, and into reflection chambers. Sound waves, carried by these exhaust gasses, bounce off the walls of the reflection chambers. By controlling the size and location of the ports and the chambers, we also control when the sound waves exit the chambers. The specific timing of when the reflected sound waves rejoin the main exhaust flow creates a one-hundred-and-eighty-degree out-of-phase sound wave that cancels out problematic frequencies. All tip options include the AWE Tuning logo, and double walling to ensure a mirror finish even under hard usage. All tips are individually adjustable, allowing depth into the bumper to be set according to personal taste. Complete AWE Tuning Touring Edition, all necessary hardware (factory sleeve clamp to be re-used), and two 90mm slash-cut tips in chosen color. 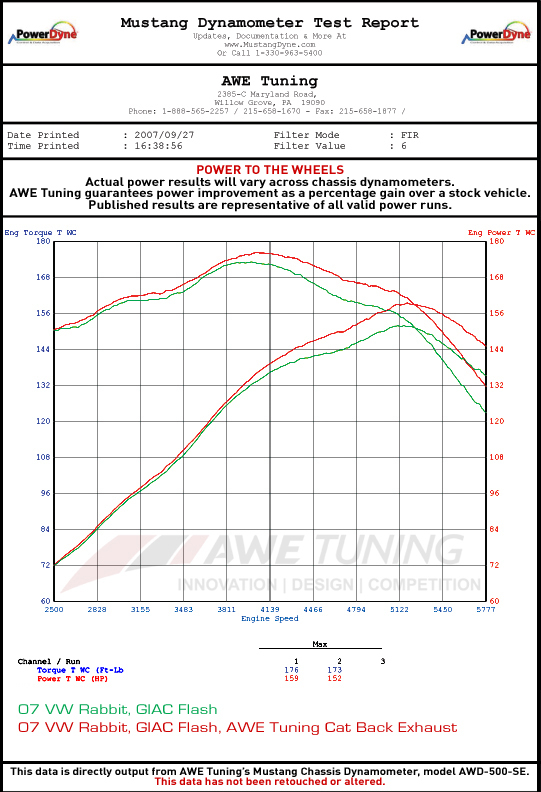 AWE Tuning 180 Technology® is not on a “one size fits all” concept. Rather, AWE Tuning engineers design sound cancellation resonators based upon the specific acoustics generated by vehicle types, thereby ensuring perfect sound, every time. It’s one of the reasons AWE Tuning ® exhausts have earned a reputation for the perfect tone, regardless of application. All AWE brand products have a fitment guarantee. This is our pledge to have made products that perfectly fit, for easy installation by a qualified installer. 30 days from purchase date, with proof of purchase. Consultation toward resolving installation issues. Should AWE deem that installation issue is due solely to a manufacturing defect, AWE will issue a replacement product or portion of product, free of charge. If claim is determined by AWE at its sole discretion to be a manufacturer defect, AWE will cover two-way shipping to AWE either from consumer or dealer, and back to either consumer or dealer. AWE may also request a “Destroy in Field” of any defective parts. No restock fee for Manufacturer Defect.